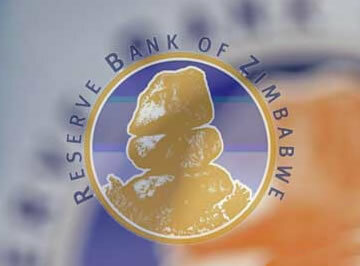 THE Reserve Bank of Zimbabwe (RBZ) has managed to secure $1,3 billion offshore loans through the African Export-Import Bank (Afreximbank) and Trafigura to support production and promote exports, an official has said. Speaking during a ZimTrade-Banks export awareness seminar held in Bulawayo yesterday, the central bank's principal analyst for financial markets, Tapiwa Furusa, said the offshore loans were meant to support various sectors of the economy. "During the period November 2017 to May 2018, we have managed to arrange $1,3 billion offshore loans through Afreximbank and Trafigura. These have been realised," Furusa said, adding some of the loans would be used as credit lines to support industry. "We have got $1,5 billion trading guarantee facility from the Afreximbank which is currently in negotiations. We have also raised $850 million, which is another pipeline offshore finance facility. We have also allocated foreign currency using priority list biased towards productive sectors and essentials." Furusa said under retention of all forex for export of services and manufactured products, surrender was only for gold, platinum, diamonds, chrome and tobacco. "If you are in tourism you retain everything, horticulture you retain everything, in the manufacturing industry you retain everything, except these ones which I indicated," he said. For private diamond, platinum and chrome, firms Furusa said retention increased from 20% to 35%. He said the central bank was also absorbing non-performing loans to encourage lending by banks. "If you look at our banks, you will find that these banks are hesitant to lend to productive sectors. Like what is happening to us as a country with multinational institutions and bilateral institutions are not lending to us because we don't pay," Furusa said. "So our local banks don't want to lend to producers in our country because they have not been paying because of these non-performing loans, but as the Reserve Bank of Zimbabwe we have absorbed these non-performing loans to encourage lending by banks."